Garfield High School is a victory away from reaching the City Section Division 1 championship game for the first time in school history. But the Bulldogs will have to get by top seed San Fernando to get there. 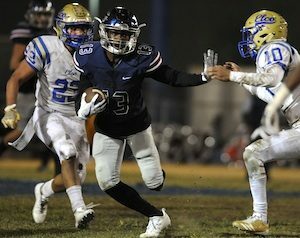 The fourth seed Bulldogs (7-5 overall) and Tigers (10-2) square off at 7 Friday night at San Fernando with the winner advancing to the City championship game Dec. 2 at El Camino College in Torrance. Both teams have looked impressive in the playoffs. Garfield defeated El Camino Real, 36-7 in a quarterfinal last Friday and beat Taft, 43-7 in the first round. San Fernando has victories over Arleta, 54-0 and Hawkins, 46-0. Moreover, San Fernando has lived up to its No. 1 seeding during a season in which the Tigers have been highly productive on offense and dominant on defense. They have shut out six of their 12 opponents and have limited them to only 74 points. Garfield annually plays a rugged nonleague schedule and this year was no exception as the Bulldogs lost four of their five games before Eastern League play started to teams that all advanced to the playoffs, including Crenshaw, the second seed in the City Open Division. 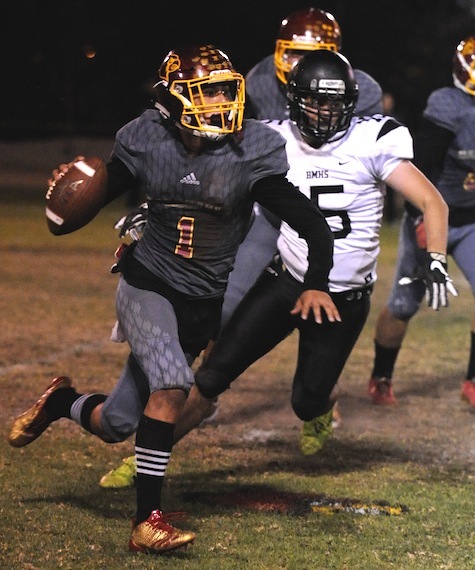 Garfield and San Fernando are meeting in the playoffs for the second consecutive year. 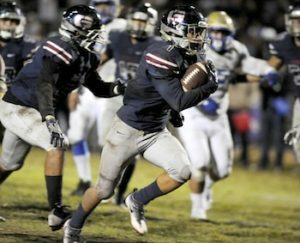 The Bulldogs scored a mild upset in the first round in 2016 when as the 10 seed they beat the seven seed Tigers, 35-28 at San Fernando. Last Friday, Moses Gonzalez scored three touchdowns to help lead Garfield to victory over El Camino Real. The senior running back rushed for 137 yards on 13 carries. Peter Jason Garcia scored two touchdowns and rushed for 70 yards on eight attempts. Quarterback Adam Polanco also had a big night for the winners. He rushed for 125 yards on 15 carries and passed for 95 yards. He completed seven of 10 passes with one interception. Two-way standout Jalen Lawrence caught four passes for 58 yards and had a 45-yard punt return to set up a score. He also intercepted a pass. “Jalen had an exceptional game and made some great things happen for us tonight,” Hernandez said. Nicholas Delgadillo and Angel Reyes were credited with nine unassisted tackles and Jonathan Espinosa had eight total tackles, including six unassisted and a sack.